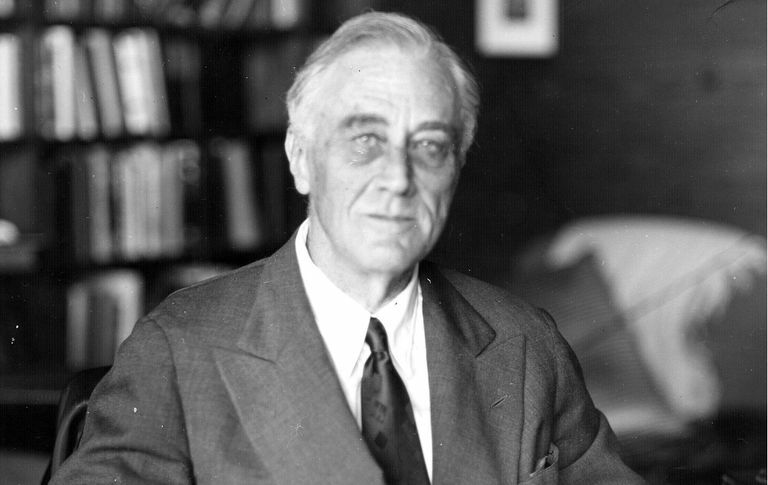 As president of the United States during the Great Depression, one of President Franklin D. Roosevelt's primary policy goals was to address issues in the banking industry and financial sector. FDR's New Deal legislation was his administration's answer to many of the country's grave economic and social issues of the period. Many historians categorize the primary points of focus of the legislation as the "Three R's" to stand for relief, recovery, and reform. When it came to the banking industry, FDR pushed for reform. FDR's New Deal legislation of the mid- to late-1930s gave rise to new policies and regulations preventing banks from engaging in the securities and insurance businesses. Prior to the Great Depression, many banks ran into trouble because they took excessive risks in the stock market or unethically provided loans to industrial companies in which bank directors or officers had personal investments. As an immediate provision, FDR proposed the Emergency Banking Act which was signed into law the very same day it was presented to Congress. The Emergency Banking Act outlined the plan to reopen sound banking institutions under the US Treasury's oversight and backed by federal loans. This critical act provided much-needed temporary stability in the industry but did not provide for the future. Determined to prevent these events from occurring again, Depression-era politicians passed the Glass-Steagall Act, which essentially prohibited the mixing of banking, securities, and insurance businesses. Together these two acts of banking reform provided long-term stability to the banking industry. Despite the banking reform's success, these regulations, particularly those associated with the Glass-Steagall Act, grew controversial by the 1970s, as banks complained that they would lose customers to other financial companies unless they could offer a wider variety of financial services. The government responded by giving banks greater freedom to offer consumers new types of financial services. Then, in late 1999, Congress enacted the Financial Services Modernization Act of 1999, which repealed the Glass-Steagall Act. The new law went beyond the considerable freedom that banks already enjoyed in offering everything from consumer banking to underwriting securities. It allowed banks, securities, and insurance firms to form financial conglomerates that could market a range of financial products including mutual funds, stocks and bonds, insurance, and automobile loans. As with laws deregulating transportation, telecommunications, and other industries, the new law was expected to generate a wave of mergers among financial institutions. Generally, the New Deal legislation was successful, and the American banking system returned to health in the years following World War II. But it ran into difficulties again in the 1980s and 1990s in part because of social regulation. After the war, the government had been eager to foster home ownership, so it helped create a new banking sector — the "savings and loan" (S&L) industry — to concentrate on making long-term home loans, known as mortgages. But the savings and loans industry faced one major problem: mortgages typically ran for 30 years and carried fixed interest rates, while most deposits have much shorter terms. When short-term interest rates rise above the rate on long-term mortgages, savings and loans can lose money. To protect savings and loan associations and banks against this eventuality, regulators decided to control interest rates on deposits.